Are You Eligible for a HomeStart Grant? In August, we wrote about how new Loan to Value ratios (LVRs) will make it more challenging for Kiwis to secure loans for buying residential properties. If you’re one of the people affected by the new LVR, you may be looking for other ways to achieve your homeownership goals. The KiwiSaver HomeStart Grant is one such option available to those looking to buy their first home and certain second-time homebuyers. Recent changes to HomeStart eligibility criteria means that these grants are now available to a larger group of Kiwis – read on to find out if you qualify for up to $20,000 in free funds from Housing New Zealand. What is the HomeStart Grant? The HomeStart grant is an initiative created by the Government to help first homebuyers purchase a home. As housing prices continue to soar, many people are finding it harder than ever to find an appropriate home for their family. The KiwiSaver HomeStart grant entitles prospective homeowners to free funds of up to $20,000. The grant, which is administered by Housing New Zealand, does not need to be repaid, making it a very appealing source of funds. If you wish to purchase an existing home, you can receive $1,000 for each year that you have contributed to KiwiSaver. The minimum amount available is $3,000 and the maximum is $5,000. If you plan to purchase a new home or build a home, you can receive $2,000 for each year of contributions. In this case, the minimum amount you will be eligible for is $6,000 (3 years of contributions) to $10,000 (5 years of contributions). Two people who wish to purchase a single dwelling together (e.g. a couple) are eligible for double the amounts listed above, provided they have both been contributing to KiwiSaver for a minimum of 3 years. 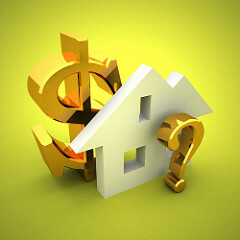 The maximum amount available is $10,000 for an existing home or $20,000 for a new property. If you have previously purchased a home, you may be eligible if you are in financial circumstances similar to other first-time homebuyers. This is decided on a case-by-case basis by Housing New Zealand. You need to have at least 10% of your deposit readily available. The grant cannot go towards your deposit – it may only go into the funds for settlement. If you meet the criteria listed above, you can apply for the KiwiSaver HomeStart grant. If you don’t meet all of the criteria or are unsure if you are eligible, we encourage you to seek advice from a solicitor on the matter. This is an important grant that you should try to take advantage of! We hope you’ll take advantage of the KiwiSaver HomeStart grant! We have included a summary of the resources you may need below – you are also welcome to contact us with any questions.